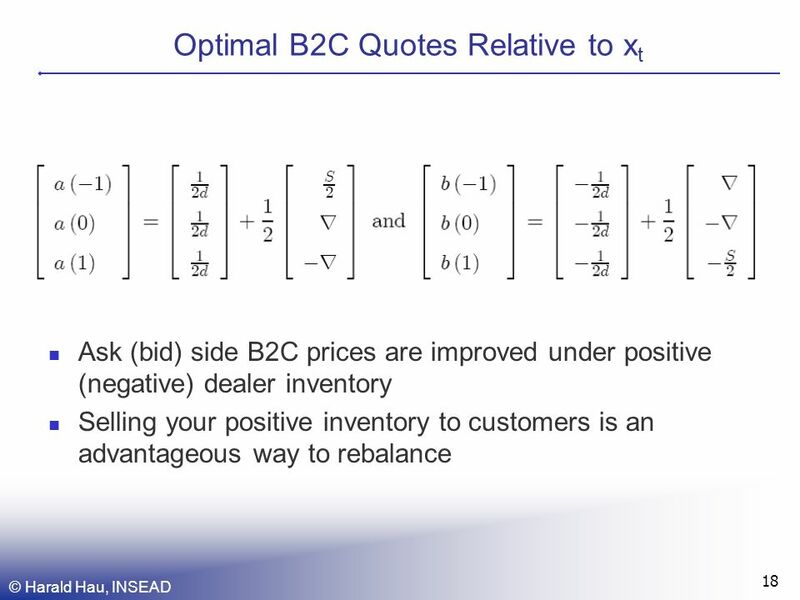 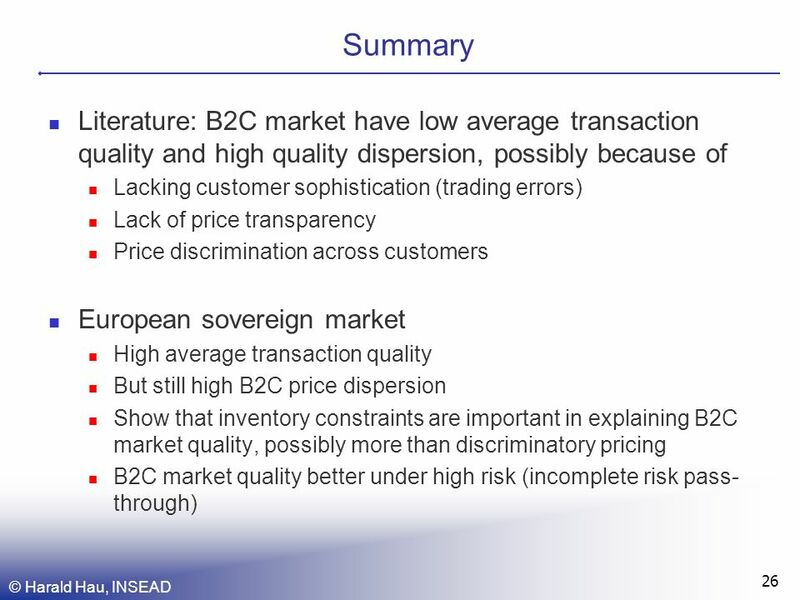 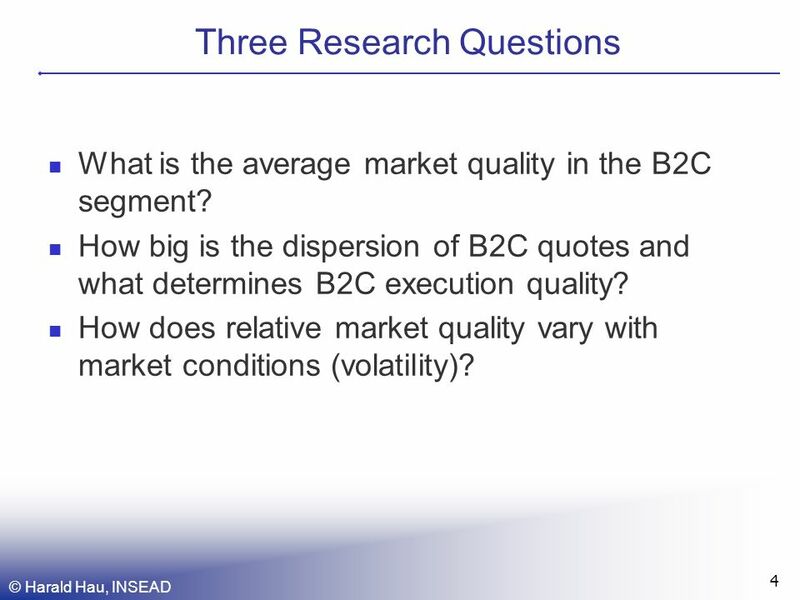 4 © Harald Hau, INSEAD 4 Three Research Questions What is the average market quality in the B2C segment? 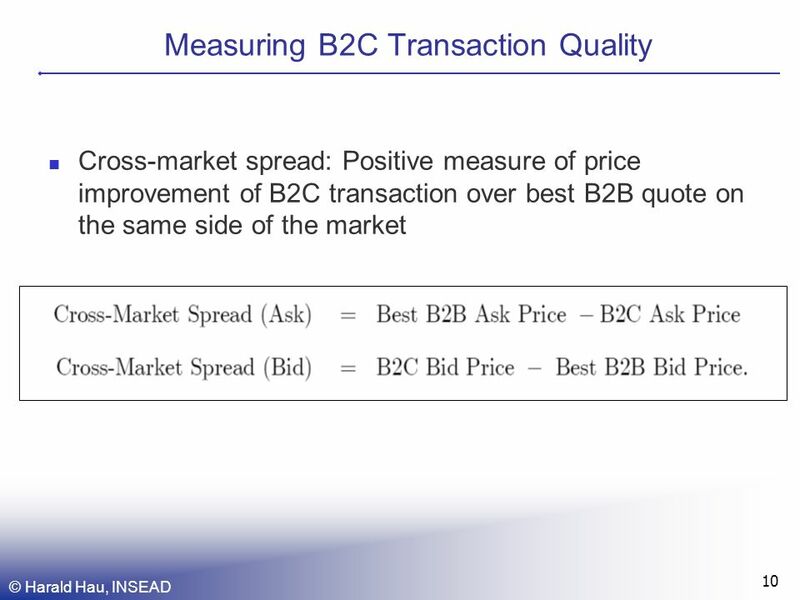 How big is the dispersion of B2C quotes and what determines B2C execution quality? 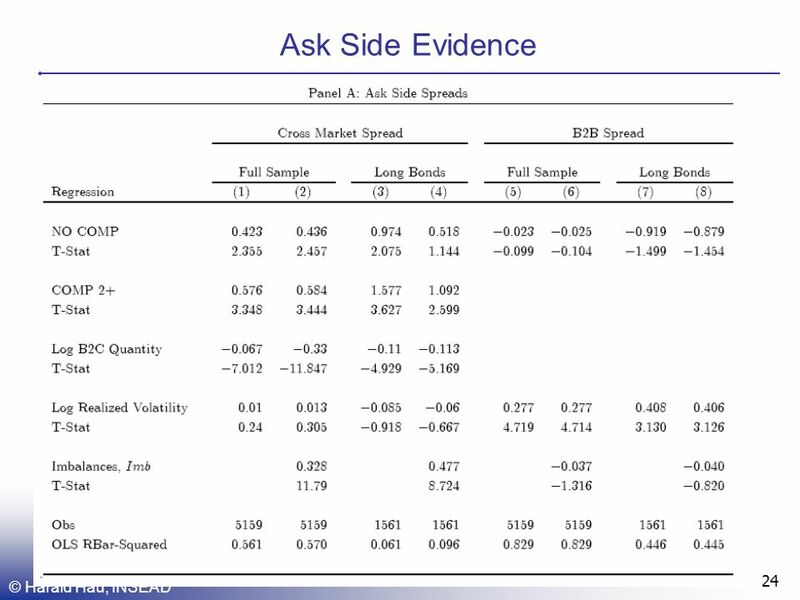 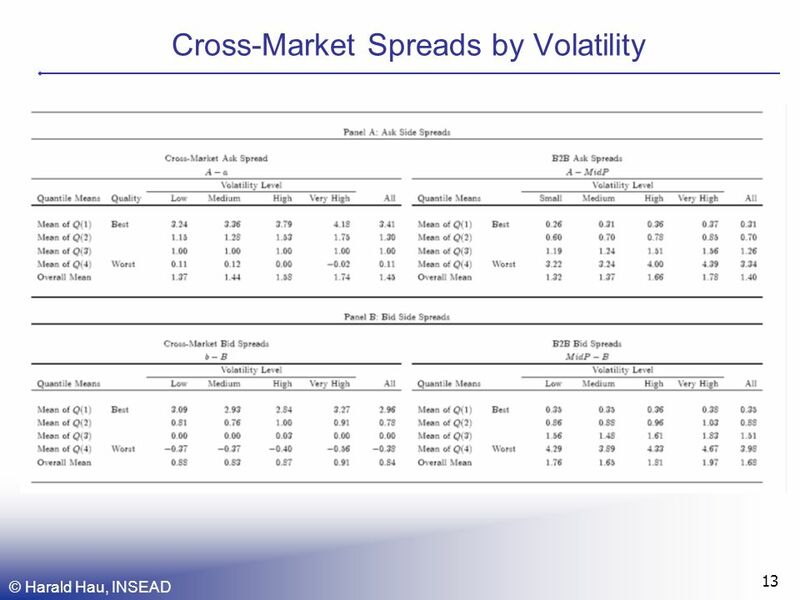 How does relative market quality vary with market conditions (volatility)? 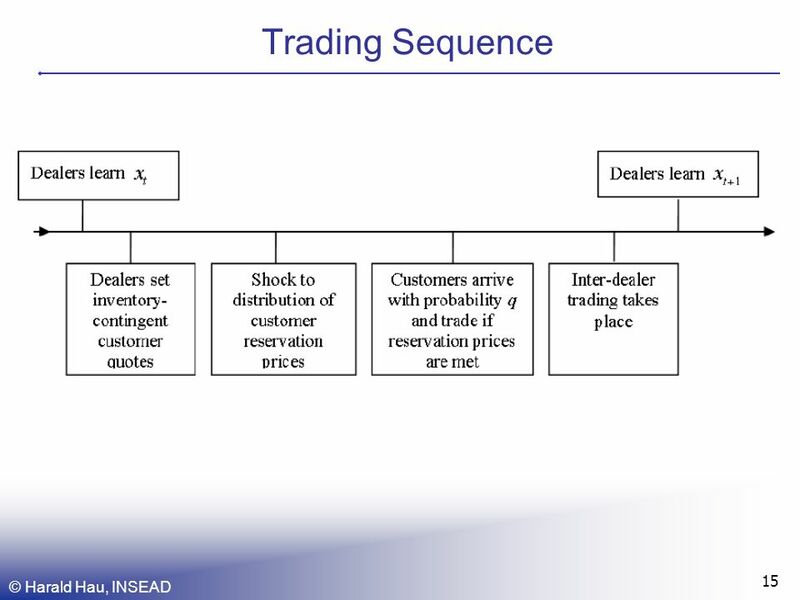 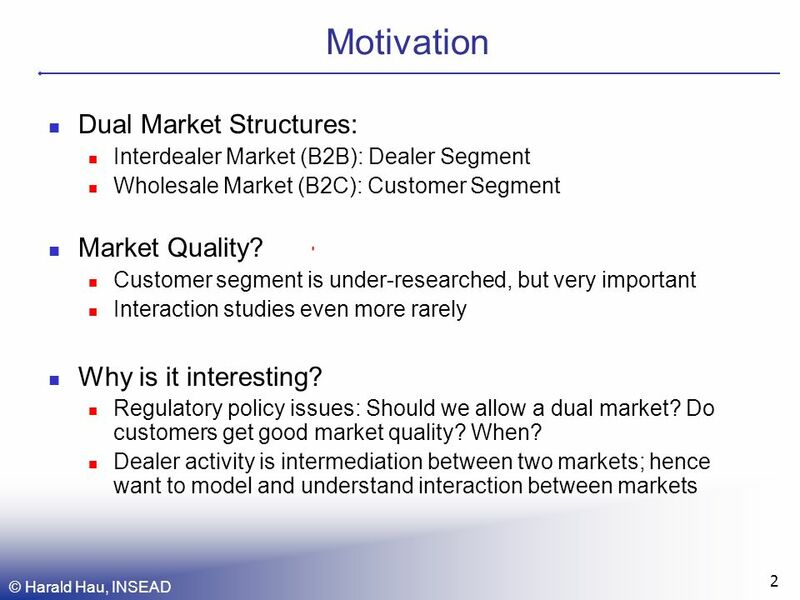 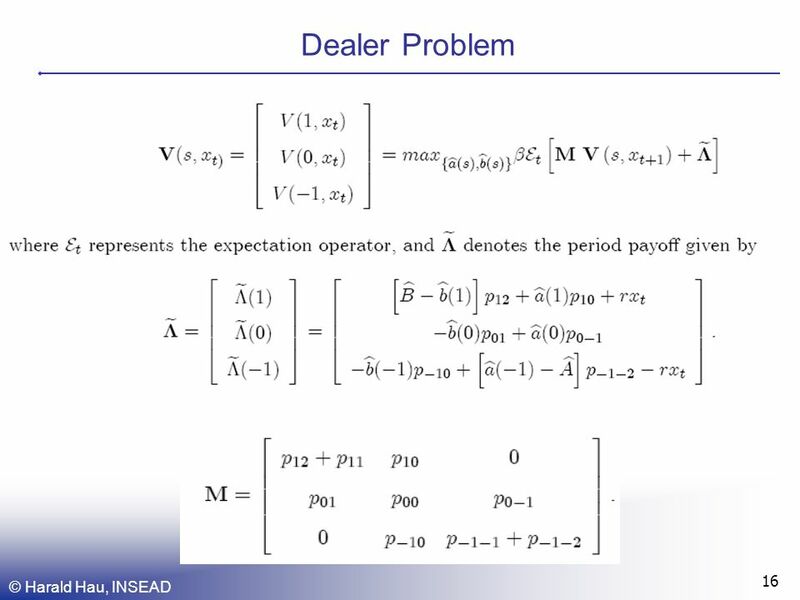 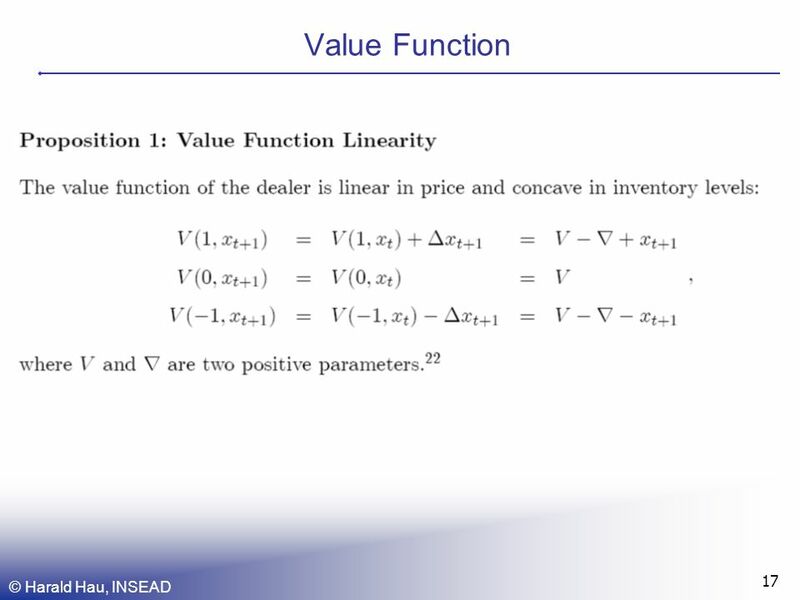 14 © Harald Hau, INSEAD 14 Model of Dealer Intermediation Dealers have monopolistic customer (B2C) relationships and are allowed to have inventories of -1,0,+1 Customers arrive stochastically for a transaction quantity of +1 (or -1) with uniform reservation price distribution above (below) the stochastic value x t for the bid (ask) price. 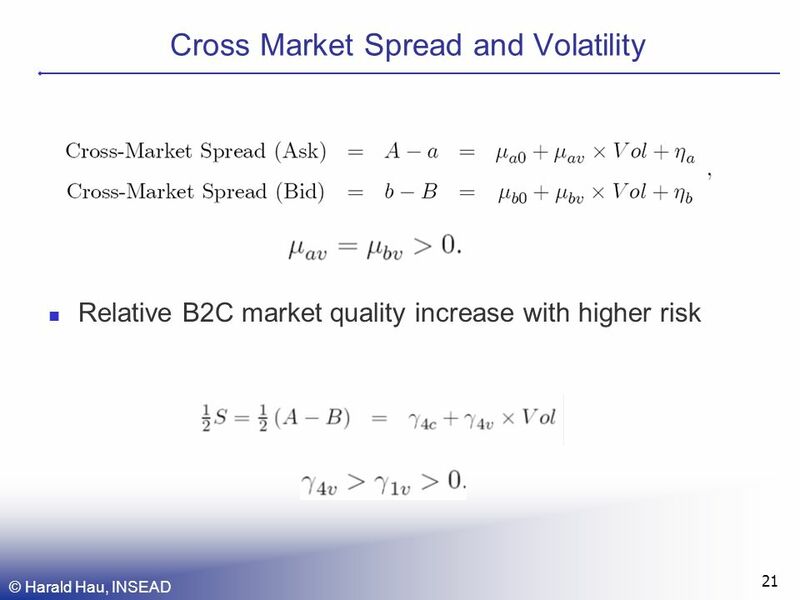 Innovations Δx t are binomial in each trading round. 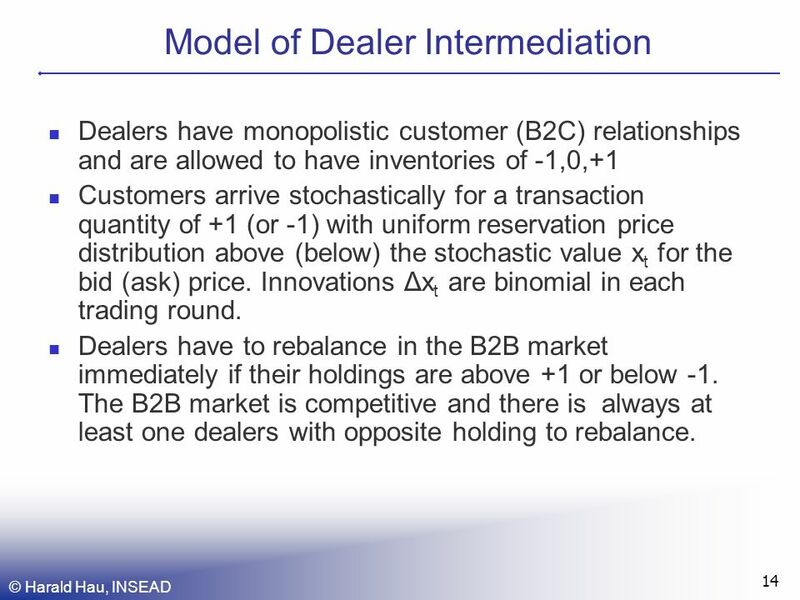 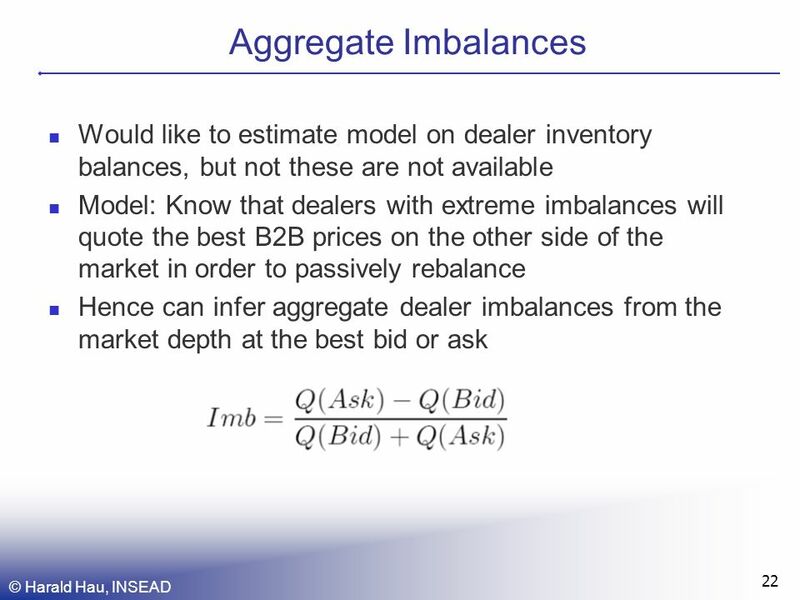 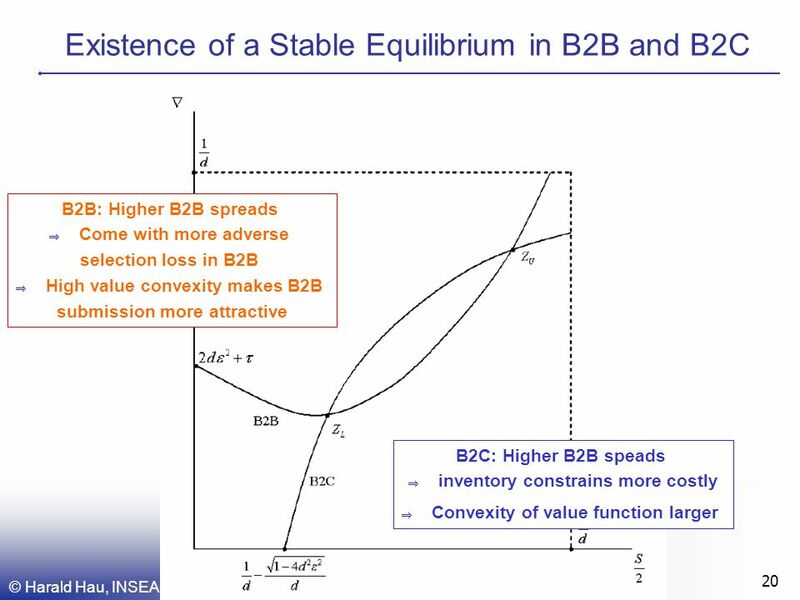 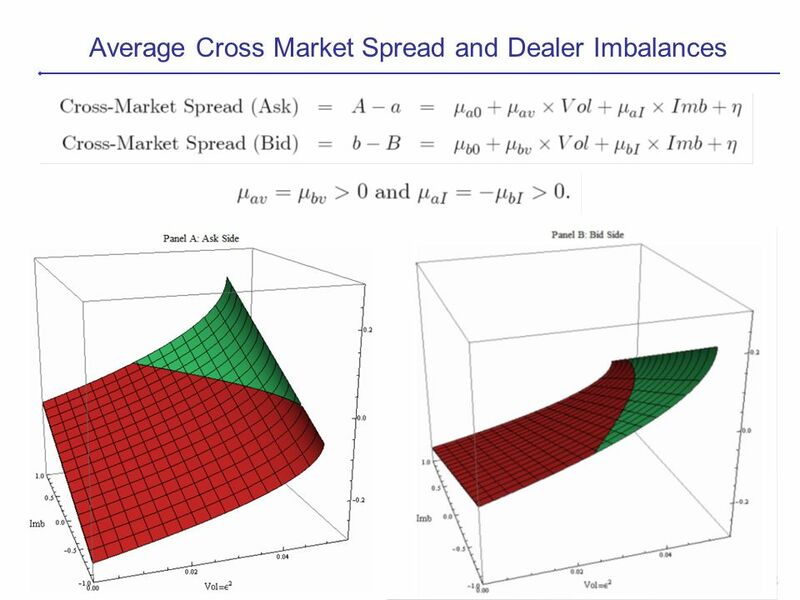 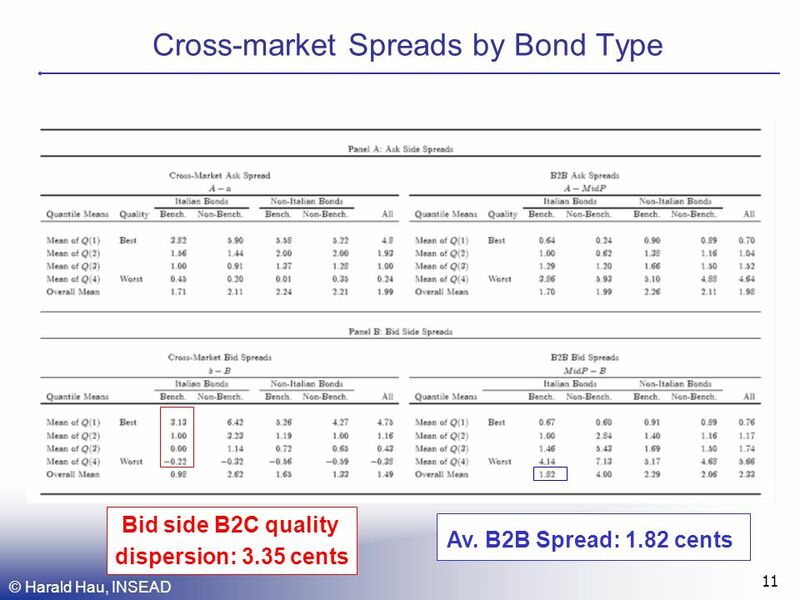 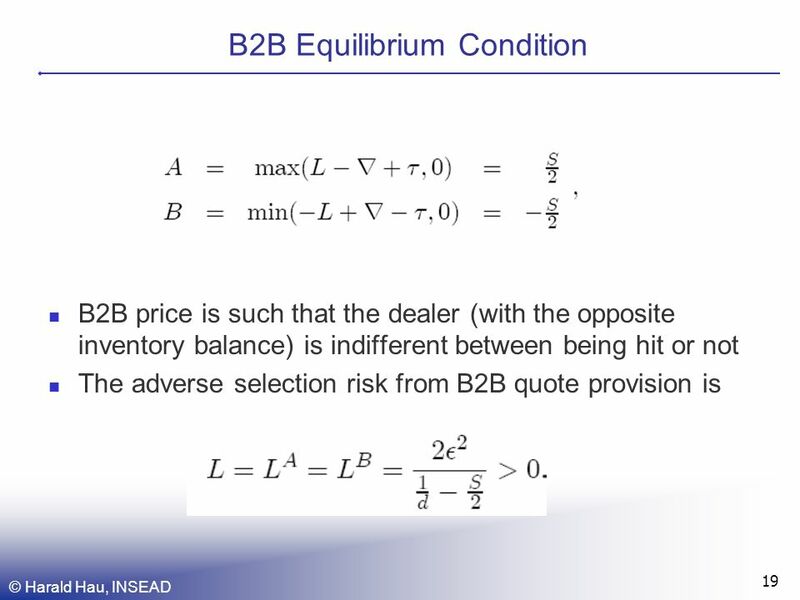 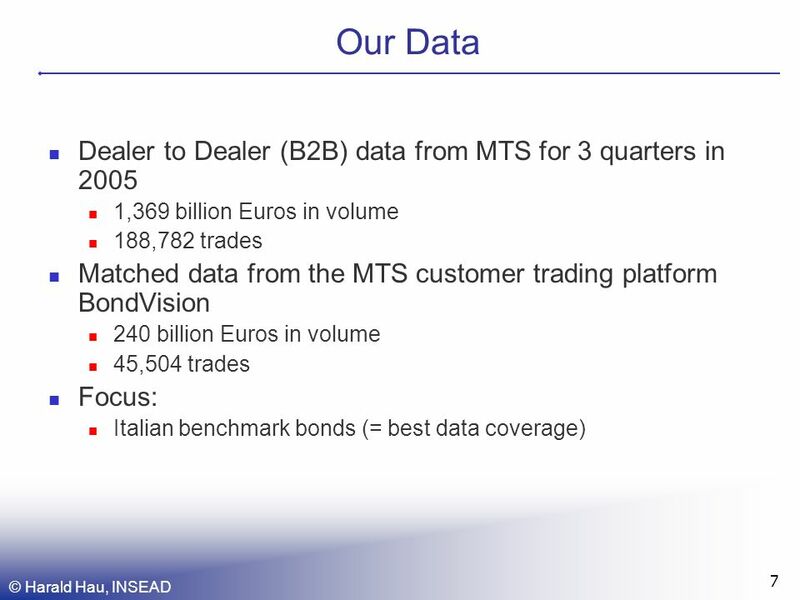 Dealers have to rebalance in the B2B market immediately if their holdings are above +1 or below -1. 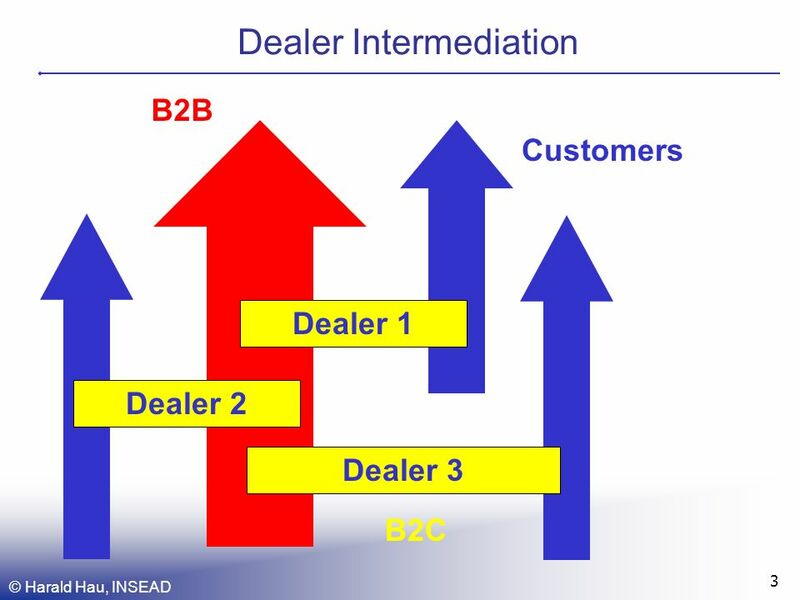 The B2B market is competitive and there is always at least one dealers with opposite holding to rebalance. 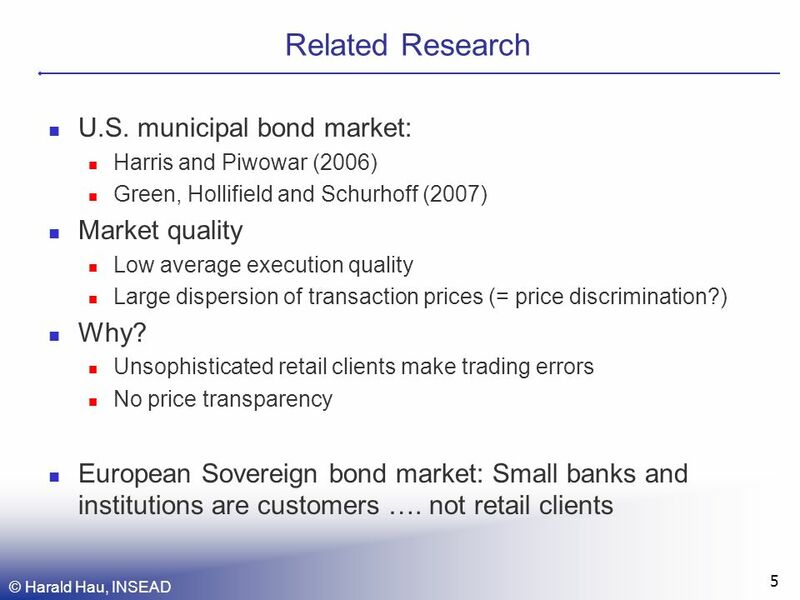 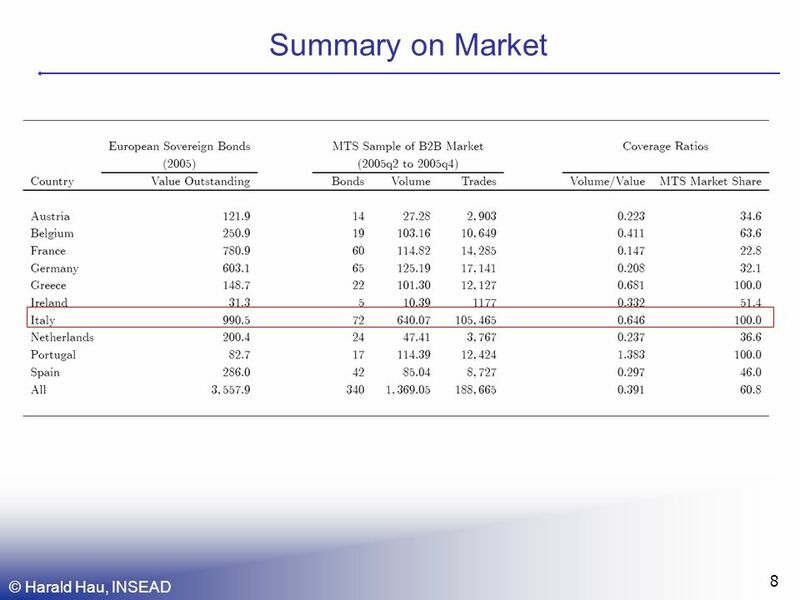 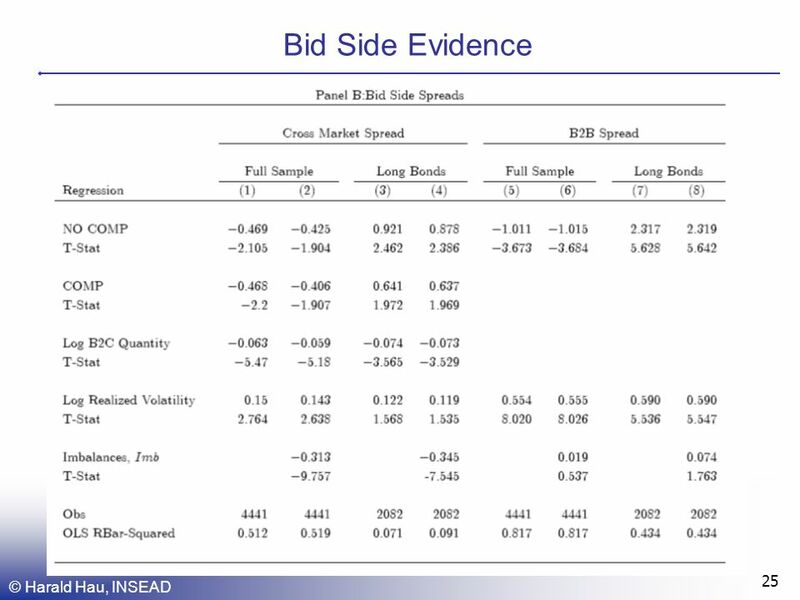 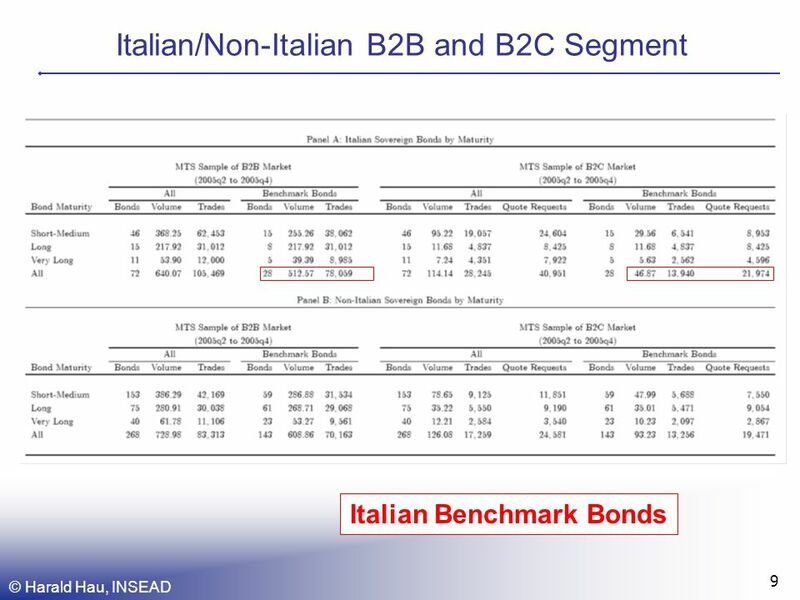 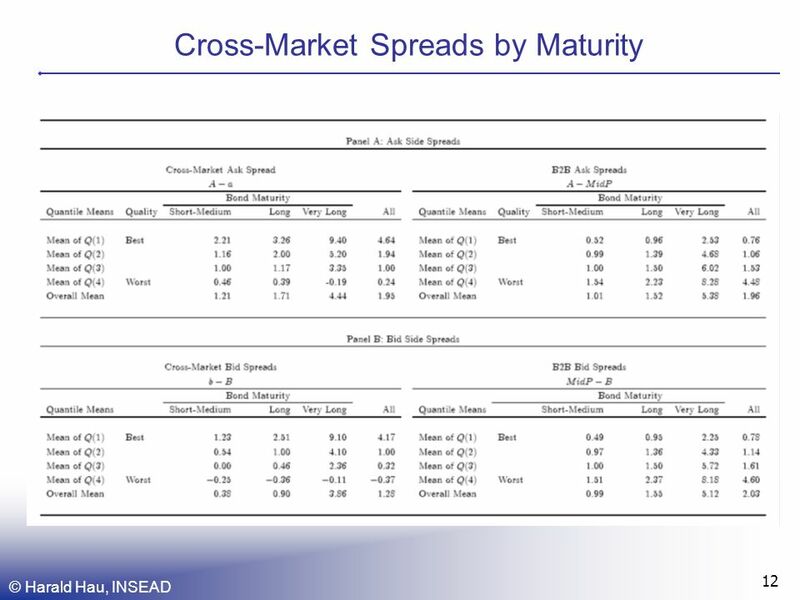 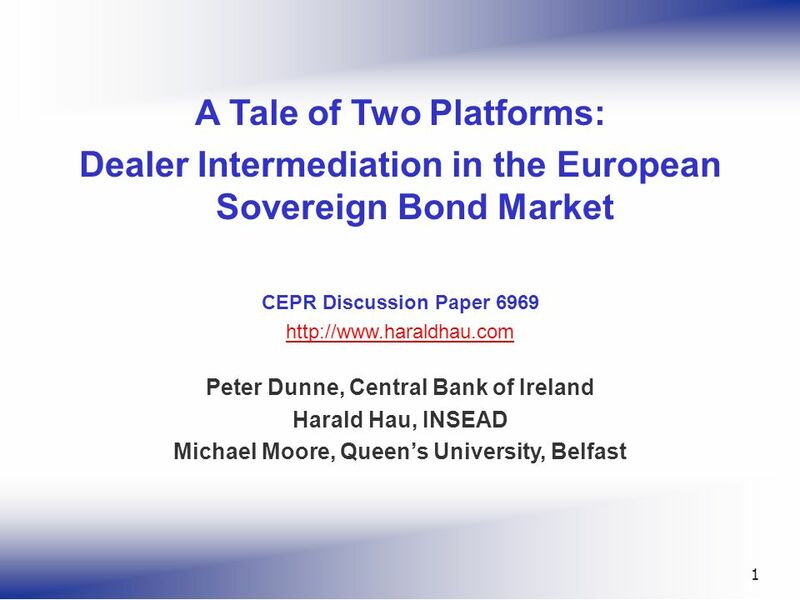 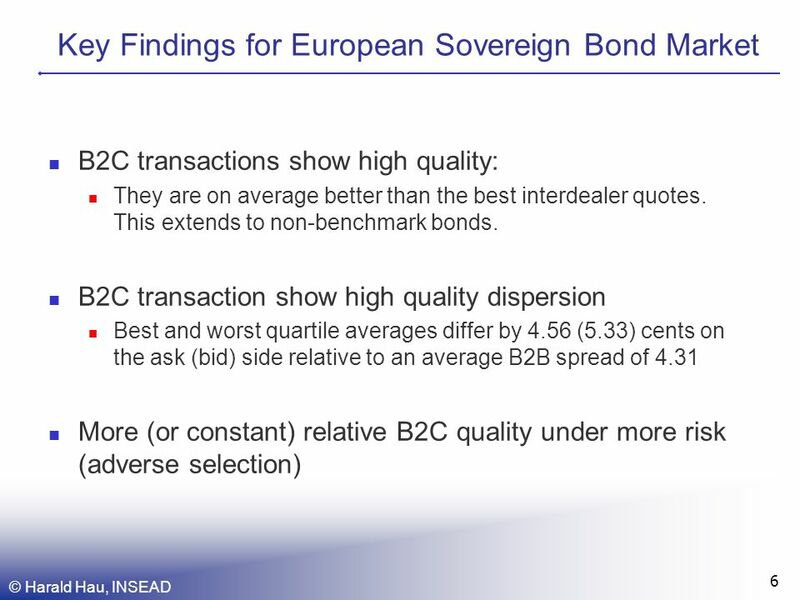 Download ppt "1 A Tale of Two Platforms: Dealer Intermediation in the European Sovereign Bond Market CEPR Discussion Paper 6969 Peter Dunne,"